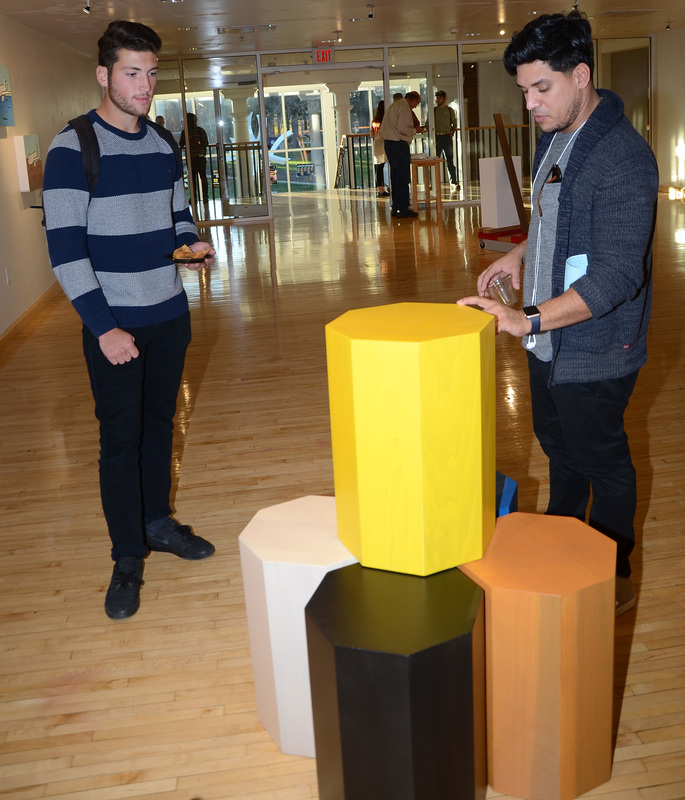 Chicago artist Josué Pellot (right) discusses his “Giant Pegs” artwork with Tim Brackett, an Upper Iowa University graphic design major, during the opening of Pellot’s Double Bluff exhibit at Bing-Davis Memorial Gallery on Thursday, November 10. The exhibit will remain open at Bing-Davis Memorial Gallery, which is located in Edgar Fine Arts Hall at Upper Iowa University’s Fayette Campus, through Friday, December 16. The gallery is open 8 a.m. to 5 p.m. Monday through Friday.